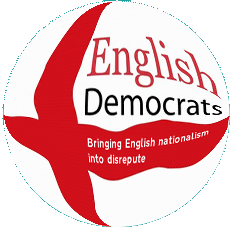 The English Democrat campaign guru and chairman of their Kent branch and south east of England region has failed to attend the first day of his trial over 10 electoral fraud charges. Steve Uncles allegedly invented 7 fake people and entered them as local election candidates and made or permitted 3 false statements on nomination forms. Suspicions were aroused when the name "Anna Cleaves" came up on the candidates list near the home of Henry VIII's fourth wife, Anne of Cleves and supposedly living in the house that was demolished to build the house Uncles lives in. Uncles' trial was due to start yesterday but he was taken to hospital complaining of chest pains. Judge Philip Statman has issued a statement saying he is keen to get the trial started and suggested that legal action might be taken to determine whether Uncles is trying to avoid his court appearance. He has already had the trial delayed so he could stand in the Police & Crime Commissioner elections last year. The party's chairman and self-employed solicitor, Robin Tilbrook, usually represents Uncles and other English Democrats members but seems to have taken a step back from this one. Perhaps his failed attempt to sue me for libel - a case the High Court said was entirely without merit and threw out - has made him a bit more cautious about chancing his arm with lost causes? Each of the 10 electoral fraud charges he faces carries a potential prison sentence.